From experience I can tell that companies not always understand, or do not wish to understand, the cohesive bond and close relationship marketing and sales departments have (or need to have) in order to conduct a profitable business! Company size doesn't matter, since the foundation and structure for selling products is always the same; the goal is to close a deal! 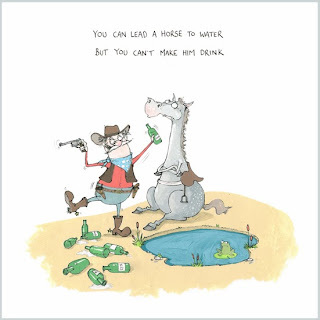 As marketing juggles its magic box of tricks, the horse is brought to the water; sales will then convince the horse that it is in its best interest to drink. 1. Set periodic cross department meetings between marketing and sales. Determine through market research the sales goals and recognize the target audience. • Schedule follow-up meetings in order to examine the outcome of the completed actions. • Take the time to evaluate what has been done, its effectiveness, and if it reached the target audience. 2. Initiate and evaluate customer surveys (in many companies this is even standard practice as part of their ISO standards and Quality Assurance policy). This is a respectable way for customers to express feedback on the service received. In general, companies feel somewhat offensive when negative feedback is received, but it should be embraced! • Only customers who care for your company/product will take the time to fill in the survey and submit negative feedback. They are your best customers! • Negative feedback should be seen as a challenge to improve your service. • Last but not least: this is your opportunity to "WOW" your customers. Take immediate action and amaze your customers by not only making up for the bad service they reported upon, but also to give them something unexpected, something remarkable! A must: Always thank the customer who took the time to fill in the survey and reassure him/her that the remarks are evaluated and will be considered in changing the company's policy. 3.Schedule meetings with customers. Listen to their needs, let them do the talking. Ask their opinion about a campaign carried out by you, what attracted their attention, their expectations from you, and so on. Make sure to afterwards recap all accumulated information and share it during your internal cross-departmental meetings. To read additional blog posts for more tricks and tips, please click here. Marketing ROI – Feasible to Measure?